At home, travelling, in hotels, camping... Wherever you want! With the CPAP and BiPAP Battery you can use your device anywhere and reduce therapy interruptions when a power outage occurs. 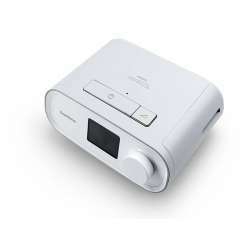 The Battery for CPAP and BiPAP is so light and small that it is very easy to carry. Now you can take it wherever you want to go with you every time you travel. In addition, the battery module uses the device's own power supply to reduce the number of cables required during travel. 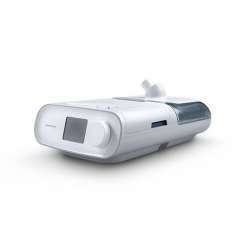 If the CPAP and BiPAP battery is kept connected to the power supply, it will remain charged and ready for use whenever you need it. Even therapy outages are reduced as a result of a power failure, thanks to the Uninterruptible Power Supply (UPS). This battery is capable of up to 14 hours of autonomy (8 hours for BiPAPs). The conditions in which it has been tested are CPAP mode, with a pressure of 10 cm H20 and without thermal humidification or thermal tube. 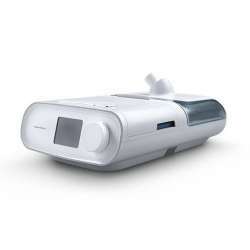 The CPAP and BiPAP battery meets all FAA (Federation of American Aviation) requirements: 90W lithium-ion battery. It does not require a prescription and is also environmentally friendly. SystemOne (50 and 60 series). Autonomy: up to 14 hours (8 hours for BiPAPs). Load/unload indication by means of light indicator. Compact and lightweight design: Weighs only 1.02 kg! Meets FAA requirements for air travel (90W lithium-ion battery). Its lithium battery is environmentally friendly. Dimensions: 22,86 x 13,33 x 3,17 cm. (long, wide, tall). Capacity: 90 W (FAA requirement). Output voltage range: 11.0-15.0 V DC. Runtime: 14 hours for CPAP and 8 hours for BiPAP. Minimum life cycle: ≥ 70% of rated capacity after 1000 cycles. 1 Rechargeable 90W lithium-ion battery. 1 Power cable for the CPAP. 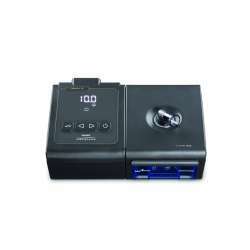 2 Adapters for exclusive use with SystemOne CPAPs. An additional power supply is not included, as it can be used from the equipment itself. The warranty period for the CPAP and BiPAP Battery is 6 months. However, if any anomaly is detected both outside the plant and in its operation, you can contact the Official Technical Service of TuTratamiento in Spain.